Having a dual diagnosis means that I not only have to battle mental illness I also have to do battle with my alcohol and drug addiction. Going off meds for me doesn’t just mean that my mind will start turning cartwheels; it means that I will go full-steam-ahead into an alcohol-infused, cocaine-snorting, pill-popping tirade that leaves me not knowing whether I’m coming or going. It’s hard enough staying regulated when you suffer from a mental illness but pair this with any kind of substance abuse issue and you have the potential for an eruption of volcanic proportions. For the years before my bipolar disorder diagnosis my alcohol and drug abuse pretty much took over my life. At my lowest I would run home from work on my 30-minute lunch break, drink a 32-ounce beer and pop several Vicodin caps then drive back to work and finish out my shift. After work I would drive home and down a case of beer, pop about six or seven more pills and wash all this down with a whiskey back. Sometimes I would drink and drug until five or six o’clock in the morning. My normal work shift was from 2PM-11PM. Ironically, there were many days when I actually did overtime going in to work at 11AM after keeping the same out-of-control regimen of substance abuse the night before. What I didn’t know was that this whole time I was abusing substances in an attempt to quiet the demons in my head of my undiagnosed bipolar disorder. My addictions were a symptom of my mental disease; my disease was not causing my substance abuse. Being drunk or high I could, I thought, function in my life and win over the feelings of anxiety, uneasiness and get rid of the feelings of wanting to jump out of my skin. I abused substances because I couldn’t really put into words what was going on in my body and my head. For me, it’s the chicken or the egg type thing. Through therapy I found out that I abused substances because of my bipolar disorder; my bipolar disorder was not, inherently, the cause of my addictions. Not everyone who has a substance abuse problem has a mental illness and not everyone with a mental illness will have a substance abuse issue. Knowing that I will always be an alcoholic/addict and struggle with substance abuse has made it easier for me to manage and work through my bipolar disorder. I know that in order for my medications to work I can’t abuse other substances…period. I also know that when cravings bombard my brain I have to use the skills I’ve learned in therapy to help me get through to the other side (more about these skills later). My life may be a struggle from time to time but I know that I can beat this monster if I just stay in the fight. My life with a dual diagnosis of bipolar disorder and substance abuse is a challenging one but I am glad that I am, again, on the road to recovery. I can remember, looking back, being a young child exhibiting bipolar characteristics but not being able to verbalize to my mother what was wrong. I remember getting up in the middle of the night at five years old remaking my bed so that it was neat and orderly then getting back in it in such a way as to maintain perfection. I remember organizing and reorganizing my toy chest putting toys in complete order then not wanting to pull anything out because it would mess up the order of things. At any given time I could be found cleaning and creating order around me; I started helping my mother clean the house as early as seven years old. When I became a teenager my bipolar disorder changed its face and I spent night after night crying, throwing fits in private and engaging in self-mutilation. I was a latch-key kid so I was home alone for hours before my mother came home from work. Being alone gave me the chance to totally demolish my bedroom taking my clothes out of drawers and the closet throwing them all around. I would tear pictures off the walls; break all my fingernails off, engage in cutting myself and screaming at the top of my lungs. I was able to hide all of this from my mother because I had time to throw a major tantrum then clean up from it before she got home. My mother was, however, able to see some of my pain because of the numerous occasions when I would just break down into tears in front of her. I could never really put into words how I was feeling; the closest thing I could think to say was that I was ‘tired’. Throughout the years my need for order in my surroundings escalated so I did a lot of cleaning late into the nights which, unbeknownst to me, was a sign of the manic side of my bipolar disorder. In my late teens my mother started taking me to the doctor to try to figure out what was wrong with me. At that time bipolar disorder was not a common diagnosis so I was simply diagnosed with depression. I was switched from one antidepressant to another trying to get me well. At the same time I was diagnosed with pernicious anemia; an inability to process B12 in the body due to a lack of intrinsic factor in the stomach. Ironically a lack of B12 can cause major disruptions in the nervous system which, in turn, was actually making the undiagnosed bipolar disorder worse. Over time I was on and off B12 injections. Eventually I was taken off these injections all together and this just helped my bipolar disorder to quickly progress. I am currently on a regular schedule of B12. Another aspect of my life that was a symptom of my undiagnosed bipolar disorder was the fact that, at the age of twelve, I’d started experimenting with drugs and alcohol. Of course I hid this from my mother for years and years. Any time I could get a hold of any type of drug or alcohol I did it. I did this on quite a regular basis well into my teenage years and early twenties. Before I was old enough to purchase alcohol on my own I had adults who would provide it to me. As for drugs, I often got them from friends who lived in my neighborhood. I did drugs and alcohol throughout my high school years and into college. When I entered college I was very heavy into my addictions. I had advanced to drinking and getting high every day. My drink of choice was gin and I would smoke marijuana and snort cocaine every chance I got. At this point I’d still not been diagnosed with more than depression. Though I was typically under the influence at all times I was able to get my degree in communications. During this time being under the influence of drugs and alcohol was my normal and I couldn’t function without them. For many years after college my drug and alcohol use escalated and I eventually got addicted to pain killers along with the drugs and alcohol I used on a daily basis. My life continued to spiral out of control for many years until my mother came to visit me. When my mother came to visit she questioned me about my alcohol use; she was not aware of my addiction to drugs. At this point I had graduated to drinking a case of beer and a fifth of whiskey a day every day. Though I was always under the influence of something I managed to maintain my home, handle business and hold down a job. After questioning me about my habits my mother took it upon herself to get me help for my addictions. It was at this time, in my early thirties, that my bipolar disorder was finally diagnosed. Because of my drug and alcohol abuse along with my bipolar disorder I have what is known as a dual diagnosis. Over the years I have struggled with my bipolar disorder and drug and alcohol abuse on a daily basis. 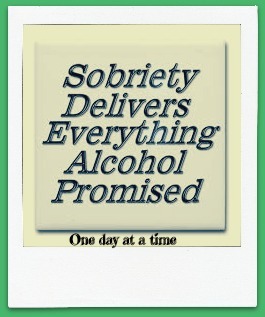 I have had many periods of sobriety as well as suffering relapse after relapse. I have been in intensive therapy and I have been on several different depression and bipolar medications. Currently I am coming up on a year sober and I think that, with the help of my doctor and psychiatrist, I may be onto a promising path of stabilization with my bipolar disorder. I attend group therapy three days a week and I go to individual therapy at least two to three times a month. I do get overwhelmed from time to time but I know I have to continue doing what I’m doing if I want to overcome my addictions and my mental health disorder. This road to recovery is not always easy but I will continue to put in the work so that I can finally find success. A dual diagnosis is not a diagnosis for failure; life can go on with hard work and dedication. Check out my new ‘About’ and get to know me a bit more intimately.